From an early age, he showed a fascination with mathematics. By the age of 12 when he started at the Gymnasium in Bonn, he would routinely spend his pocket money on math books. At school, he was a model student and after two years, transfered to the Jesuit College in Cologne. By the time he graduated, he decided to seek an education in Paris. There, he was able to attend lectures by some of most famous mathematicians of the time including Fourier, Laplace, Legendre, and Poisson. In 1823, he began to work for the family of General Maximilien Sébastien Foy. Dirichlet taught German to Foy's wife and children. Dirichlet chose at this time to work on his first paper which concerned Fermat's Last Theorem for n=5. At this time, case for n=3 and n=4 had already been solved. In 1825, Dirichlet succeeded in proving it true for the case where one of the numbers x,y,z is divisible by 10. The paper attracted a lot of attention and one of his reviewers was Adrien Legendre. Shortly after the presentation Legendre was able to complete the proof for n=5. Dirichlet also came up with a complete proof but did so only after Legendre had published his complete solution for n=5. In addition, he wrote a very important paper on biquadratic reciprocity which extended a result by Gauss. Around this time, General Foy died and Dirichlet returned to Germany. He sought employment but was denied because of the requirement that he needed to have completed a doctoral thesis. This problem was solved when he was given an honorary doctorate from the University of Cologne. He then acquired a post at the University of Breslau. Despite his fame from his result with Fermat's Last Theorem, his appointment at the University of Breslau created a great controversy among the German math professors. Dirichlet found the standards at the university were disappointingly low and in 1828, he transferred to the University of Berlin. He remained there until 1855. Later, he would help to greatly raise the mathematical standards in Germany. 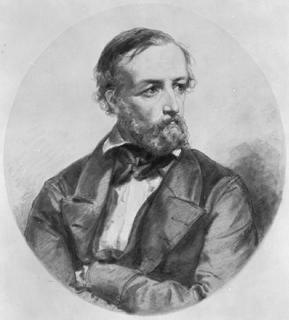 In 1831, he was appointed to the Berlin Academy. By this time, he was paid enough to consider marriage. He married Rebecca Mendelsohn who was a sister to the composer Felix Mendelsohn. At this time, he also corresponded with the mathematician Jacobi. Together, their correspondences exerted a tremendous influence on number theory. In 1837, he proved a conjecture by Gauss on the arithmetic progression of primes that clarified a result done earlier by Legendre. His work would later form the foundation of analytic number theory and algebraic number theory. That same year he proposed what is today the modern definition of a function. Other work included potential theory, integration of hydrodynamic equations, convergence of trigonometric series, and fourier series. In 1855, after Gauss's death, Dirichlet took over Gauss's post in Gottingen. He was very happy in Gottingen but unfortunately, his stay there did not last long. In 1858 while lecturing at a conference in Montreux, he suffered a near fatal heart attack. When he returned to Gottingen, he learned that his wife had just died of a stroke. He died shortly afterwards in May of 1859. In the sixth paragraph I belive the word married is missing. Thanks for noticing that. I just fixed it.